Preheat oven to 350°F. Place frozen patties on baking sheet. Bake for 20-25 minutes. 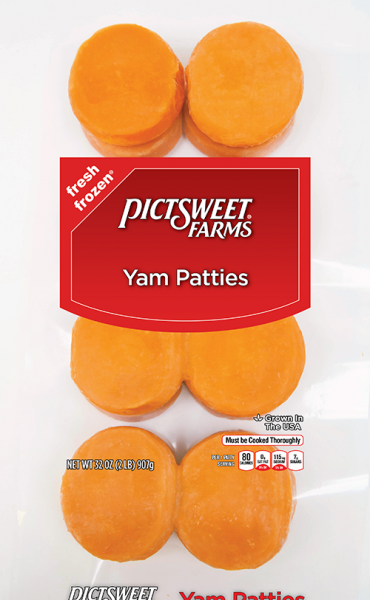 Yams (Sweet Potatoes), Sugar, Cornstarch, Buttermilk, Salt, Natural and Artificial Flavoring, Yellow #6, Red #40. CONTAINS MILK INGREDIENTS. MANUFACTURED IN A FACILITY THAT ALSO PROCESSES WHEAT, SOY AND PECANS.